Hi Doodlebug friends! Traci from Artsy Albums here! I'm back to share my Spring Garden layout with you. 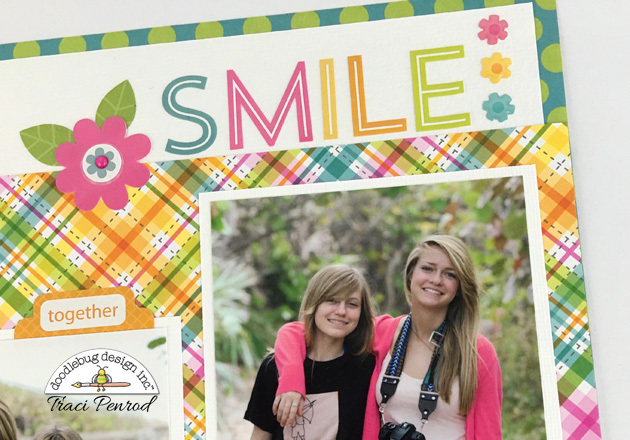 I just love the patterns and colors in this collection -- plaids, dots, flowers, chevrons -- they are all so cute and there's also a whole page of cute little polaroid frames. Sprinkles are probably my favorite scrapbooking embellishments. I added quite a few to this page, including the new tiny flower shapes ... CUTE!! 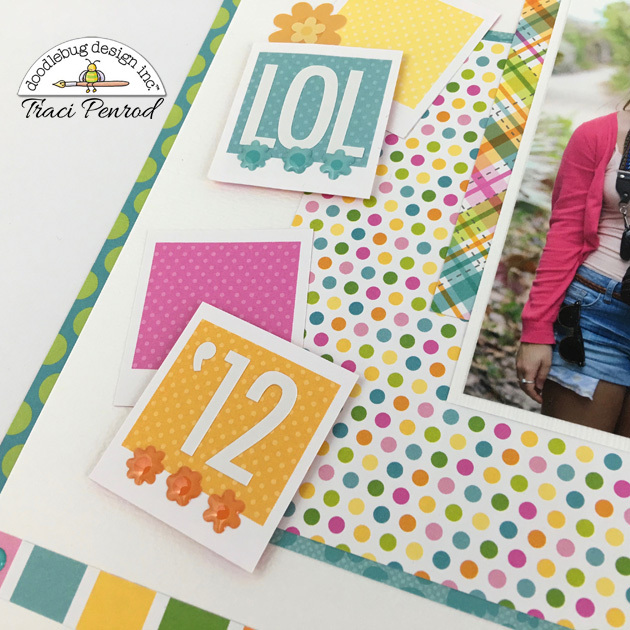 Such a fun and inspiring layout! Beautiful! I love the colors in this collection.